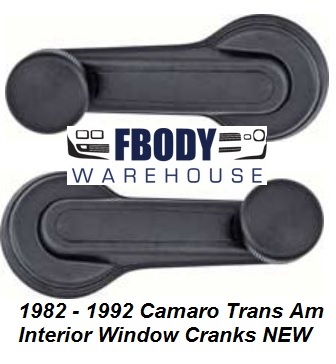 Sold individually or as a set new replacement window cranks for 1982 - 1992 Camaro & Trans Am models. Window cranks include the retainer C clip that holds it onto the door panel window mechanism. 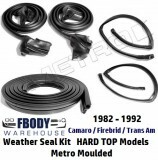 These replace worn, stripped or broken GM units to a Tee!